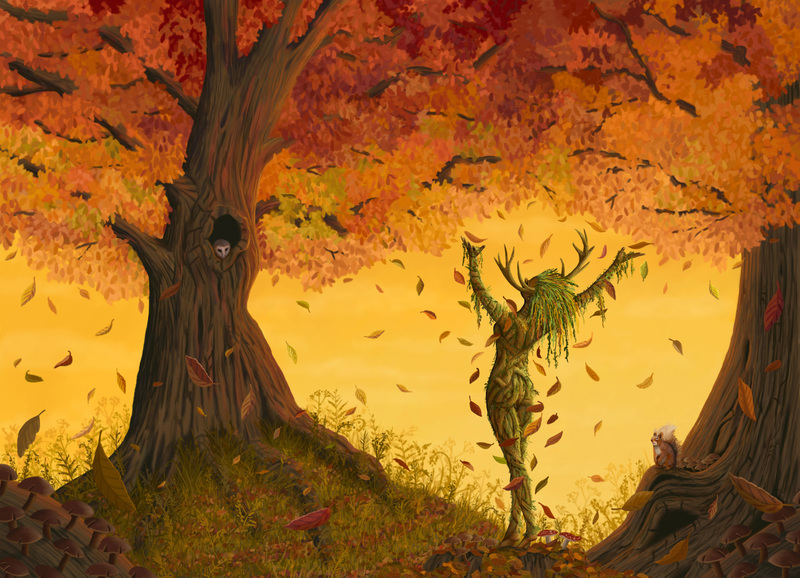 On the edge of the sylvan woodland a dryad calls down the autumn leaves. My homage to the beautiful colours of autumn and dedicated to the memory of "The Emporer", Britain's largest stag taken down during the rutting season by a poacher. This image is hand painted entirely in Corel Painter using just two brushes - opaque detail acrylic and soft blender. The orginal image is 3500 x 2500 pixels and so is suitable for high resolution printing. Prints of this image are availale at sizes up to A2, printed professionally on archival quality paper for maximum quality and longevity.